Raise a toast to Serena and Blair as we mark the 10th anniversary of our starring role in the hit TV series "Gossip Girl" in true Palace style. 25% savings on tickets to the "On Location Gossip Girl Sites Tour"
Looking to splurge? Upgrade to our Towers Jewel Suite and sip on a chilled bottle of Dom Pérignon Champagne alongside gold-flake grilled cheese and truffle fries, lavishly served in-suite. Rates start at $25,000. For more information on this upgrade, please call 646-315-6860. Where has she been? 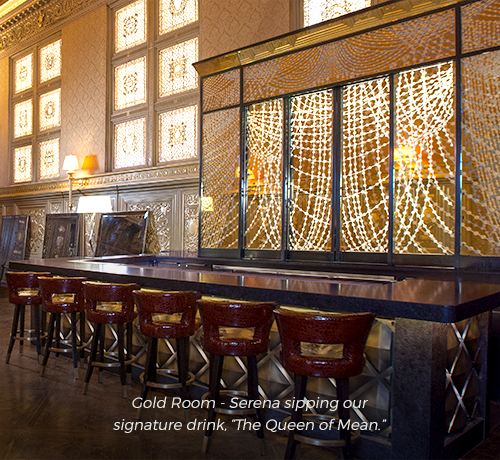 Wasn't that Serena at the Gold Room Bar drinking a martini? Didn’t the whole gang Champagne at the Bass Foundation annual brunch in the Madison Room? It’s been ten years since Gossip Girl said au revoir and settled into their happily ever after on the Upper East Side – but you never know where you might catch a glimpse of New York’s favorite Park Avenue princesses. For fans wondering where Gossip Girl was filmed, Lotte has the inside story. The experience begins with one of our favorite Gossip Girl New York locations, the famous Palace Courtyard, a popular spot for scheming. Perhaps while you're in town you'd like to spin your own Gossip Girl drama? 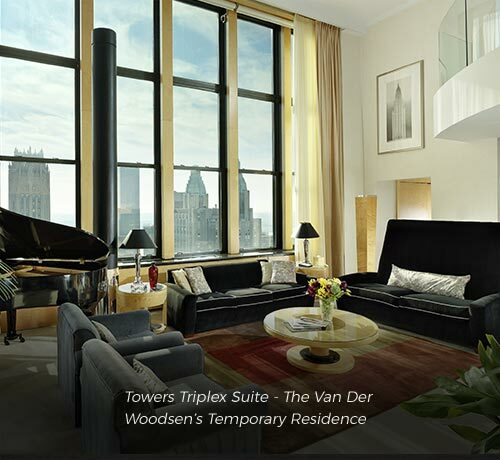 You can start by staying in the lavish Towers Triplex Suite, the Van der Woodsen's glam temporary residence when they first returned to town. It's just one of the many Gossip Girl filming locations New York loves. The Museum of the City of New York was the backdrop for the exclusive (yet fictional) Upper East Side private high school of "Class of 2009" grads Blair and Serena. Having a shopping emergency? Try shopping where Serena and Blair purchased their incredible prom dresses. Sip a cocktail at the same place where Serena bumps into Dan on Thanksgiving. Enjoy a sweet treat at the spot where Dan saves Serena's life. Get your gossip on during lunch on the steps, just like Blair did with her friends.